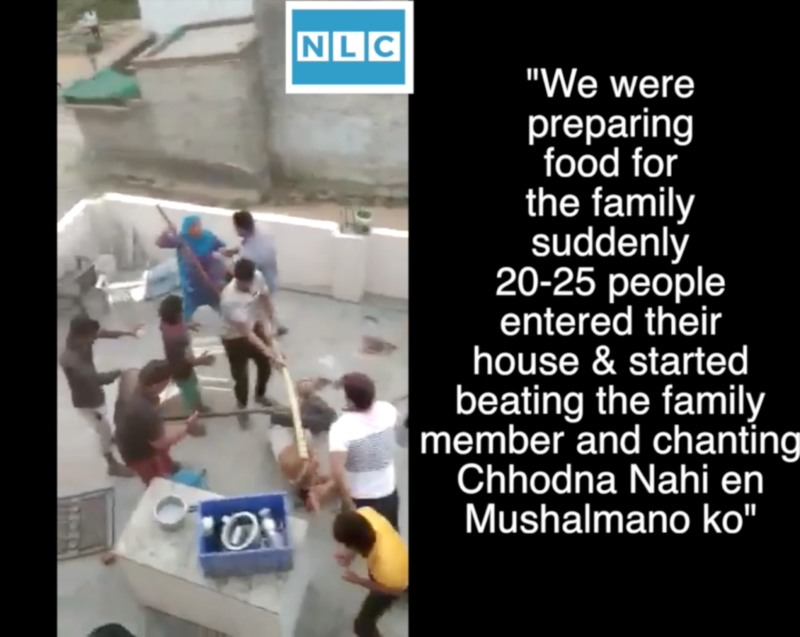 A family in Gurgaon was beaten by a mob with hockey sticks and rods on Thursday. The attack took place in their home, the attack was triggered because of a cricket match. Six people have been arrested by the police. A video went viral which shows the incident, where few people are beating all the men of a family while women’s are screaming and pleading them to stop. “The incident took place on Thursday at 5 pm when some of the male family members were playing cricket outside their residence in Bhup Singh Nagar. The family belonged to a minority community”, Assistant Commissioner of Police Gurgaon, Shamsher Singh said. The mob had over 40 people who attacked the family of three or four people in Bhondsi area, police further added. One of the family member, Sajid was thrashed with rod until he lost consciousness. Around six to seven drunk men told the family not to play cricket but they continued to do so. The men called other few people and around 40 people thrashed the family with rods, hockey sticks, batons and water pipes, Sajid told Gurgaon police. “Up until now we have arrested six of them and efforts are going to search for the rest with the help of video. Attempt of murder and various other relevant sections against the attackers have been registered at Bhondsi Police Station”, police commissioner Shamsher Singh said.